Fundraiser by Hacking is NOT a Crime ! : Hacking is NOT a Crime! 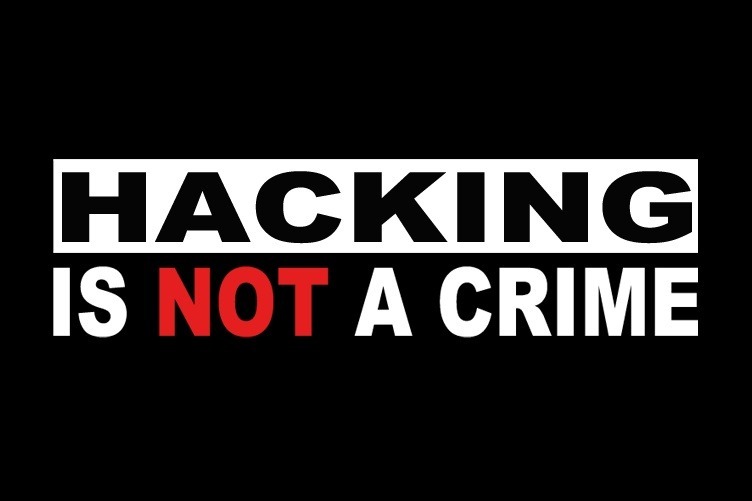 Hacking is NOT a Crime ! The purpose of HACKING IS NOT A CRIME is to raise awareness about the improper use of the terms "hacker" and "hacking". Specifically, the negative connotation with which the terms are so often associated. Proceeds will support hacker community non-profit groups and conferences as well as the procurement of merchandise for awareness campaigns. We are starting locally and expanding as funding permits. Initial beneficiaries are BSides DFW, BSides Austin, BSides San Antonio, and BSides Houston . A "hacker" is one who thinks outside the box to solve problems, no matter how simple or complex. The actions and methods by which these problems are solved is called "hacking". A criminal is one who engages in unlawful activities, no matter how minor or serious. The actions and methods by which these laws are broken is called "lawbreaking". Over the past several decades, the media has been using the term "hacker" to describe computer and information security enthusiasts who commit unlawful acts. This is unfortunate, but understandable. Given the esoteric nature of information security and the profound impact it now has on our everyday lives, it's easier for the media to use the terms synonymously. But once a law is broken, a crime has been committed. Regardless of the context or subject matter, the perpetrator is no longer a hacker — they are a criminal. If a locksmith uses their intimate knowledge of locks to burglarize homes and businesses, would they too be called a "hacker"? If a microbiologist uses their intimate knowledge of bacteria to release toxic agents into a public setting, would they too be called a "hacker"? If a stock broker uses their intimate knowledge of the financial markets to advantageously manipulate prices, would they too be called a "hacker"? Clearly, the answer to all of the above examples is a resounding "NO". It is not the profession or the knowledge possessed by each of the above actors that determines what they are called. It is the means, the motive, the opportunity, and most importantly, the actions, that do. Hacking therefore, is not and cannot be, a crime. It is merely an ethical endeavor of exploration and problem solving. We encourage those using the term "hacker" in a negative context to consider using the term "cyber criminal" instead, since "cyber" and "criminal" are descriptive of the activities and are ubiquitous terms with which many are already familiar. We also encourage anyone encountering its misuse to politely remind the author or speaker of this and when appropriate to use the hashtag #hackingisnotacrime for helping us to raise awareness. Visit our Website and follow us on Twitter!